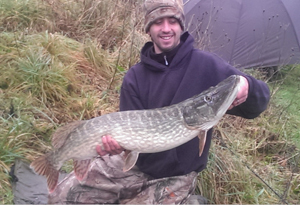 You can try Pike, Carp, Tench and Coarse Fishing and Match Fishing with Ardingly. This is run on a day and season ticket basis. This is also run on a day and season ticket basis. At Ardingly we offer a wide range of Fishing options including Pike, Carp, Tench and Coarse Fishing as well as offering Day ticket waters and Fishing Boats for hire. Ardingly Reservoir is a 198 acre drinking supply reservoir. It was finished and filled in 1978, run as a trout fishery for the first 10 years and as a coarse water since. 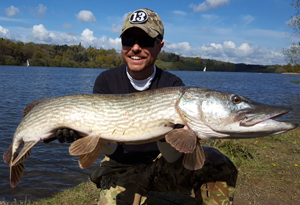 Ardingly has always been well known for its pike fishing and people don’t realised how good the coarse fishing is until they try it for themselves. Being a large water people can be put off and think it is a hard water. This could not be further from the truth and everyone from the most basic of beginners to the best of match anglers will soon be catching. If you do find the main area of the reservoir a bit daunting then the Balcombe Arm with a maximum width of 95 metres can be an excellent area to start your fishing. So whatever sort of fishing you are looking for, be it for pleasure, match or specimen you really should give it a go.Species present: Roach, Rudd, Carp, Tench, Bream, Pike, Eels, Gudgeon and Perch.